We have a wide selection of tooling options for any material being cut. A linear rail can drastically widen your capabilities. Our systems are customized by switching out the length of the robot arm, the payload, adding a linear rail, or even custom-built rotary tables to handle the size and weight of your materials, offering everything you need to accurately complete your milling jobs. 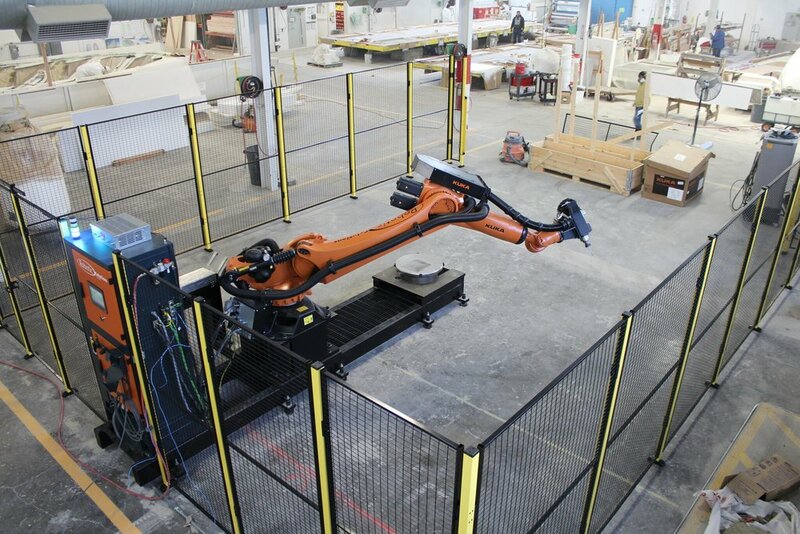 Our fully customized cell layout provides the option to work alongside the robot as well as the rotary table. We have extra rotaries and vacuum tables available and can be easily integrated into the system.